Happy day! We got in a shipment of the newest pattern collection from Churchmouse down in Washington! 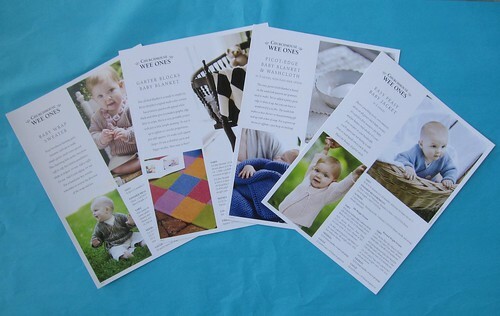 So, without further ado, the latest Churchmouse design collection… Wee Ones! Above is the Baby Wrap Sweater, Garter Blocks Baby Blanket, Picot Edge Baby Blanket & Washcloth, and the Easy Peasy Baby Jacket. 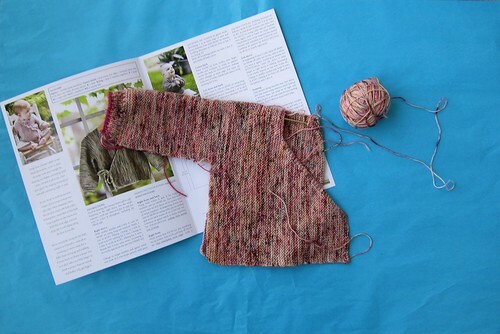 Of course, Anina couldn’t resist casting on… It’s the Wrap sweater in one of the many stunning colours of Koigu. This entry was posted on Wednesday, March 13th, 2013 at 8:28 am	and is filed under Uncategorized. You can follow any responses to this entry through the RSS 2.0 feed. Both comments and pings are currently closed.